What if you could escape across time, and find your soulmate? At 26, gorgeous Tara Ballantine has a near-perfect life. Not only is she lovely, but she also has a trust fund from her billionaire father, and two loving sisters. Her boyfriend's proposed too. Tara doesn't realize that her stepmother's hatred will send her across the world and across time. 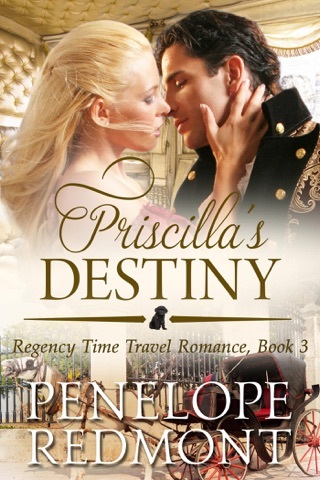 From Sydney, Australia in 2015, she lands in Regency England in 1809... Right on top of Adam Jervoise, Earl of Hillingworth, when he rides through a bluebell wood. Discover Adam and Tara's story, and the story of Pudding, the time traveling toy poodle. 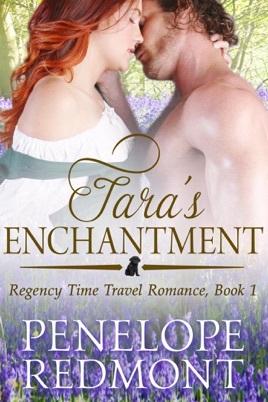 Although "Tara's Enchantment" is the first novel in a trilogy, it can be read as a standalone time travel romance. Discover how Tara finds her soulmate today.